Support your business to deliver change successfully using a broad array of tools and skills, from capability building to hard metrics, from outbound communication to feedback loops. 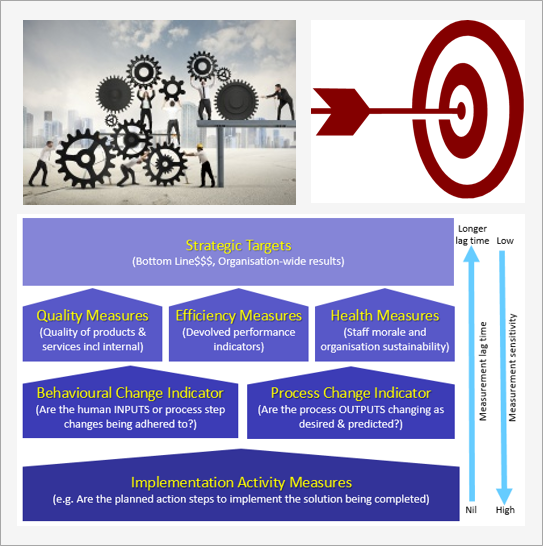 Download a PDF summary of our Change Management service. There is little gained from great business process improvement programs if the change management execution is poor. There are many circumstances in which change management can fail, from poor metrics to poor motivation; from poor positioning to poor piloting. Change management is often perceived as a “soft” discipline whereas in fact, it is actually one of the most difficult. Done well, change management deploys a broad array of tools and skills, from capability building to hard metrics, from outbound communication to feedback loops. Bevington Group embeds change management thinking at the start of all engagements. We engage with key decision makers and champions early in the design process and draw on a great depth of experience to develop a detailed and attainable change management program. The Bevington approach is to create a tailored change strategy that is easy to understand, communicate and implement. Our approach encourages staff to adopt the changes as their own and make them an integral part of the organisation. To learn more about overcoming barriers to effective change management, please read our related Articles. Refer also to relevant Bevington Group Case Studies. Effective change management ensures change has a powerful and positive impact on an organisation.